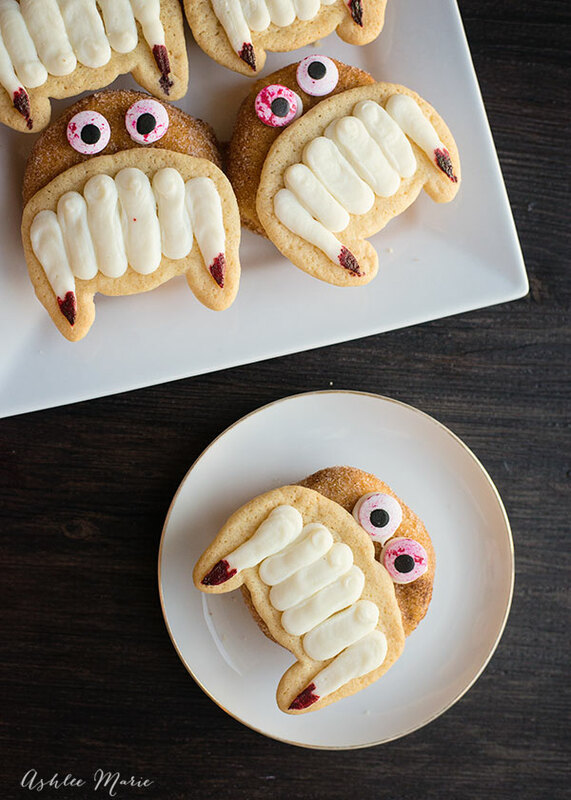 If you enjoy making themed Halloween treats your going to love this Halloween Ebook with 18 fun, family friendly treats! SO it’s time to redeem myself, well in a small way. SOOOO using the SAME store bought doughs (GAG) I decided to make them again with the same parameters, but this time I knew a little bit more about the dough I was working with. It’s not really made to hold its shape, so you have to work WITH the spread, and let the frosting be the details you need. 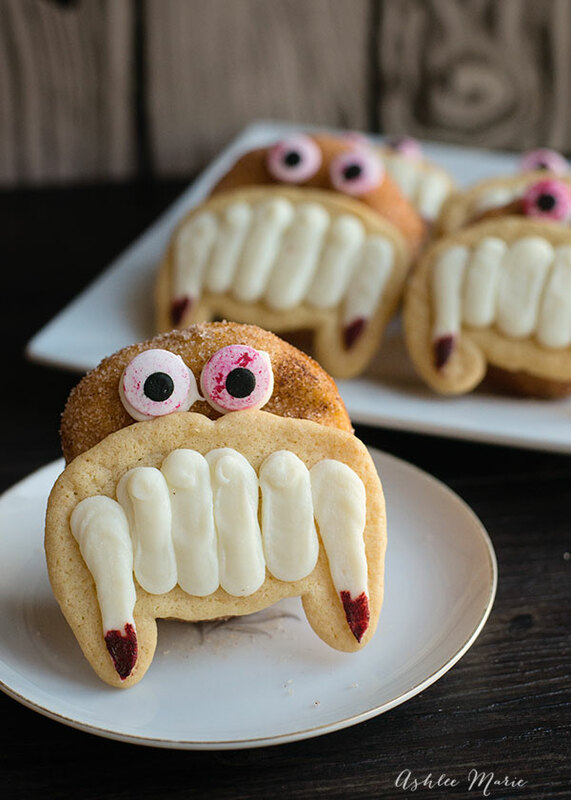 Now of course you CAN work with actual homemade donuts and homemade sugar cookies for a tastier, prettier, monster. But this was fast, easy, and fit the challenge. NEXT TIME I’ll rock it! Hopefully there will BE a next time, right? Tune in on Monday night at 9/8c to find out! It’s so surreal to see myself on TV! And I’m so grateful and excited to be moving on to the third episode! 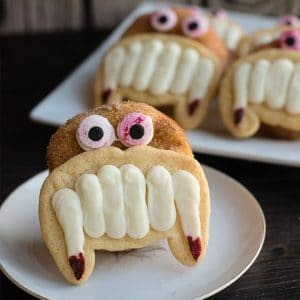 SOOOO who are your favorite bakers (besides me of course)?